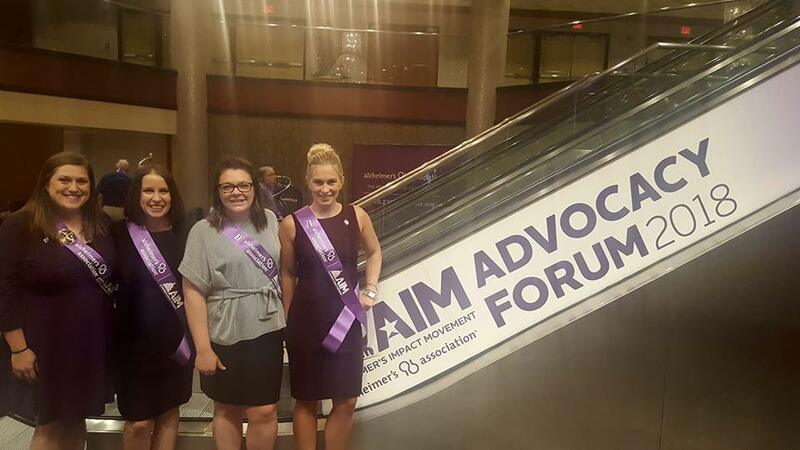 Brittany, second from the right, advocating for Alzheimer’s legislation in Washington, D.C.
Our Board Member Brittany and her commitment to advocating for Alzheimer’s disease were recently featured in a Columbus Business First article. Her employer ProLink is featured for their commitment to employing millennials and allowing the flexibility to engage in their community. Millennials are an idealistic generation and we want to be a part of something bigger than ourselves. Read on to hear how Brittany is balancing her career and her leadership in the Junior Committee!